Excess sugar consumption can wreak havoc on the bodies of both adults and children. Kids who overdo sugar gobble an excess of unhealthy calories. This will likely contribute to weight gain and increased risk for diseases like obesity, type 2 diabetes, and cardiovascular disease. Too much sugar can also lead to excessive amounts of fat deposits in the liver, a condition known as nonalcoholic fatty liver disease. Research indicates that children who cut out sugar can rapidly show health improvements. In one study, 41 obese children cut out sugar for nine days. By day ten, measurable improvements were found in both liver numbers and insulin response. While this was a relatively small study, it points to the possibility that cutting back on the sweet stuff can quickly have an impact on better health for kids. Get the skinny on where sugar is lurking and discover alternative ways to sweeten up foods for kids. Many parents struggle to understand the differences between added and natural sugars. Added sugars are just that—added as an ingredient. Scan ingredient lists for items like granulated sugar, maple syrup, high fructose corn syrup, and brown sugar. Naturally, sugars are found in fruit and dairy products. These types of sugars will affect the numbers on a food label but won’t be listed in the ingredients since they are not additions to the recipe. These types of sugars are not associated with the pile of unhealthy calories that too much added sugar contributes to the diet. Unlike the added stuff, fruit and dairy also provide numerous nutrients including fiber, vitamin C, calcium, and vitamin D.
The FDA has plans to update food labels to list added sugars separately, so you can easily see how much sugar is being added to your food. A little sugar in your child’s world is unavoidable and it is unrealistic to subscribe to the idea that your child will never eat it. 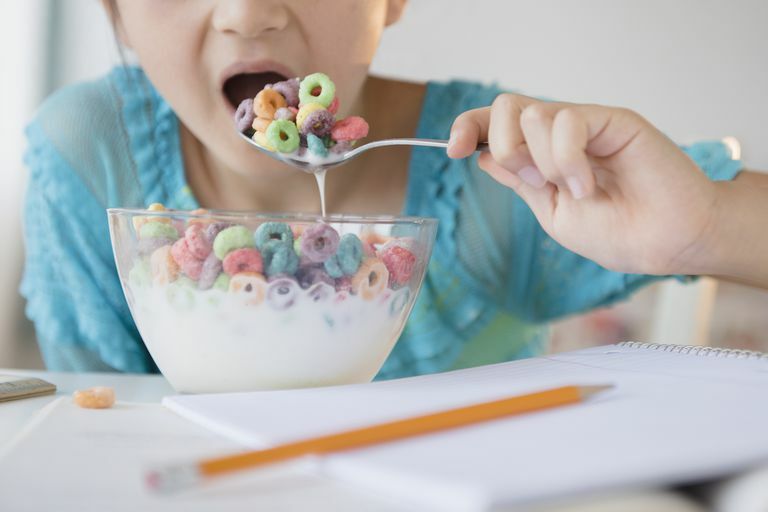 Oftentimes the products marketed specifically to kids are the worst offenders though, so be on the lookout for these six commonly sugar-laden kid-friendly foods. Yogurt is a trifecta of sugars, featuring a combo of milk, fruit, and added sugar. Check the ingredient lists on your kids’ favorite brands and opt for ones with the lowest added sugar totals. You may be surprised to learn that sugar is hiding in your salad, but it is likely there. Instead of reaching for that bottle, simply whisk lemon juice, olive oil, and a touch of mustard for a tasty and sugar-free dressing or veggie dip. Whether it is a packet of apple-cinnamon or maple brown sugar, chances are that oatmeal is sweeter than you want it to be. Since oatmeal can make for a healthy breakfast, prepare it plain and add portioned touches of honey, fresh fruit and nuts, or a drizzle of maple syrup. From barbecue potato chips to cheddar cheese popcorn, many savory snacks are infused with added sweeteners. To avoid these sugar-enhanced flavorings, munch on plain varieties of chips and similar snacks food in moderation. Frosty blends of fruit can be a healthy option, but many smoothies (especially those whipped up at smoothie shops) are made with syrups, sorbets, juices, and other high sugar ingredients. Make sure the smoothies you make and buy for your kids are made from whole food ingredients. Add natural sweetness to these beverages with ripe bananas or a small handful of pitted dates—or both, like in this naturally sweetened banana date smoothie. Other unexpected sources of sugar can be found in pantry staples like jarred tomato sauces, canned soups, and condiments, so be mindful to not drench foods in these sweet sauces. Keep your child's sugar intake in check at most meals and snacks. Here are five simple ways to get started. Reduce intake of highly processed foods in general, as they tend to have more sugar. Think before you sip—sugary beverages pack in hefty doses of sugary calories. Compare brands of staple foods like yogurt, cereal, and granola bars to find the best options. Curb cravings by serving up naturally sweet fruits to the kiddos. Side step sugar bombs by making homemade versions of salad dressing, oatmeal, and smoothies.